Luis Reece has signed a one-year contract extension to keep him at Derbyshire until the end of the 2021 season. The all-rounder has been a consistent performer in all forms for the club since joining in 2016. Featuring in 11 matches across first-class and List A cricket in an injury-shortened 2018, the left-hander scored 523 runs and claimed 19 wickets. Reece has scored 1,081 first-class runs for the county, at an average of 36, with three centuries including a career-best 168 last summer. He has also taken 17 wickets, with career-best figures of 7-20 claimed this week against Gloucestershire. A powerful hitter in white ball cricket, Reece enjoyed a prolific campaign in the 2017 Twenty20 competition, scoring 433 runs at an average of 36 and a top-score of 97 not out. In total, Reece has played 42 matches for Derbyshire, scoring 1,703 runs and taking 28 wickets. 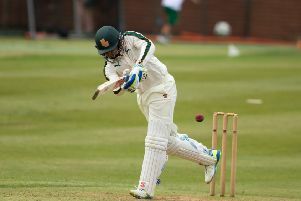 Cricket advisory director Colin Tunnicliffe said: “Luis is a fantastic cricketer and he has been a real miss this summer following his unfortunate injury in May. “He is an impact player who can win you games of cricket with both bat and ball. I’m sure it will feel like a new signing to see him back on the field next summer. Reece added: “It’s been challenging year. I was gutted to miss so much of the season with injury – I just wanted to get out there and help the lads. “But it’s great to be back fit and I already can’t wait for the 2019 season. I look forward to working with David Houghton, who is one of the best coaches around. Meanwhile fast bowler Will Davis has left Derbyshire following the conclusion of the 2018 season. 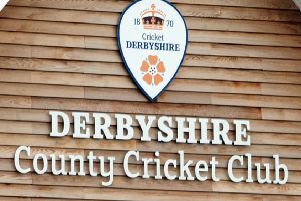 The 22-year-old, who was in the last year of his contract, made 13 first-class appearances for Derbyshire since making his debut in 2015 against Australia at The 3aaa County Ground. He claimed 40 wickets at an average of 31.57 and with best figures of 7-146. Cricket advisory director Colin Tunnicliffe said: “Will is a talented bowler, but has been unlucky with injuries over the last couple of years. We wish him all the best for the future.